Ola, a taxi aggregator, has announced that it will offer its mobile wallet, Ola Money, as an independent app, a move that will see the company to compete with the likes of Paytm, Mobikwik and Freecharge in the booming digital payment market. New Delhi : Ola, a taxi aggregator, has announced that it will offer its mobile wallet, Ola Money, as an independent app, a move that will see the company to compete with the likes of Paytm, Mobikwik and Freecharge in the booming digital payment market. Ola Money, powered by ZipCash, has over 40 million users. Earlier available within the Ola app, Ola Money enabled users to pay for their taxi and auto fares. In August, the company announced its partnerships with a host of online platforms like Oyo Rooms, Lenskart and Saavn to allow customers to make cashless transactions. "Ola Money has seen tremendous acceptance over the last three months, since the time we opened it up for third party merchants. We continue to add more merchants and build many more use cases with Ola Money, making it a seamless experience for users," Ola co-founder and CEO Bhavish Aggarwal said. With the app enabling users to do a lot more including mobile recharges and money transfers, Ola is excited about the possibilities that Ola Money brings for the millions, who are beginning to prefer an easy to use mobile payment solution, he added. 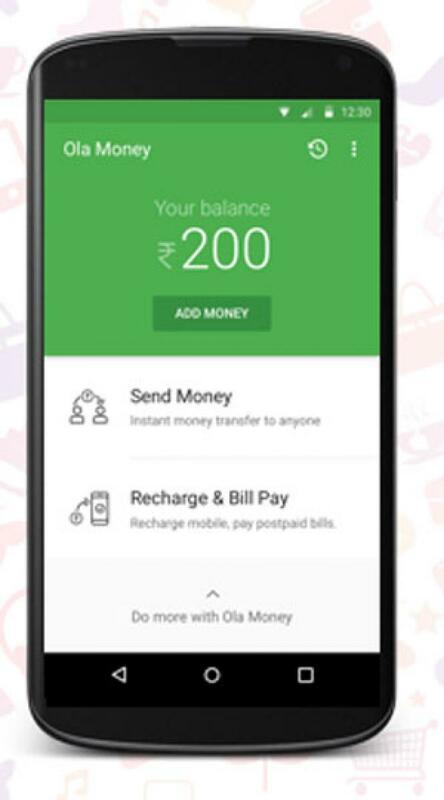 With the new Ola Money app, users can pay partner merchants as well as get mobile recharges and money transfers done. "The app will soon be usable for utility bill payments, across online and offline merchants and leading payment gateways as well, making Ola Money a holistic solution in the payment ecosystem," the statement said.